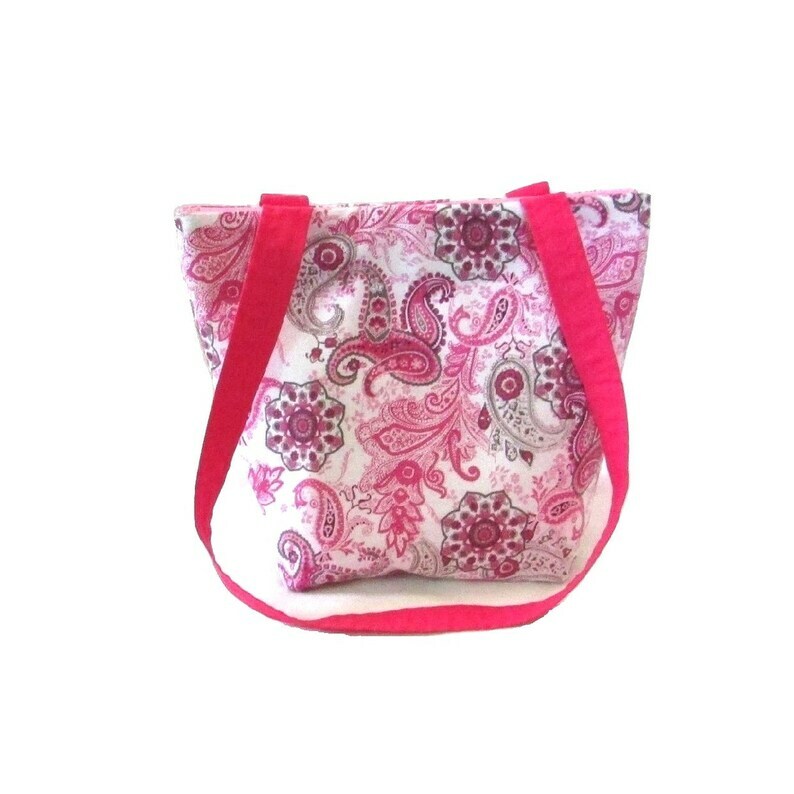 Paisley Purse, Small Fabric Bag with Pink & Gray Paisley & Flowers on a White Background. This Handmade Handbag is fully lined in Light Pink & has 4 Dark Pink slip type pockets, 2 Dark Pink Handles & a Magnetic Snap Closure. This is a smaller purse, mini tote bag. Perfect for teens & girls or for women who prefer to carry a smaller bag. Just big enough for the necessities.... your wallet, camera, phone, make up, keys. Base 6" x 3 1/2"